I so love this article, way to go wolf pack!! lol. 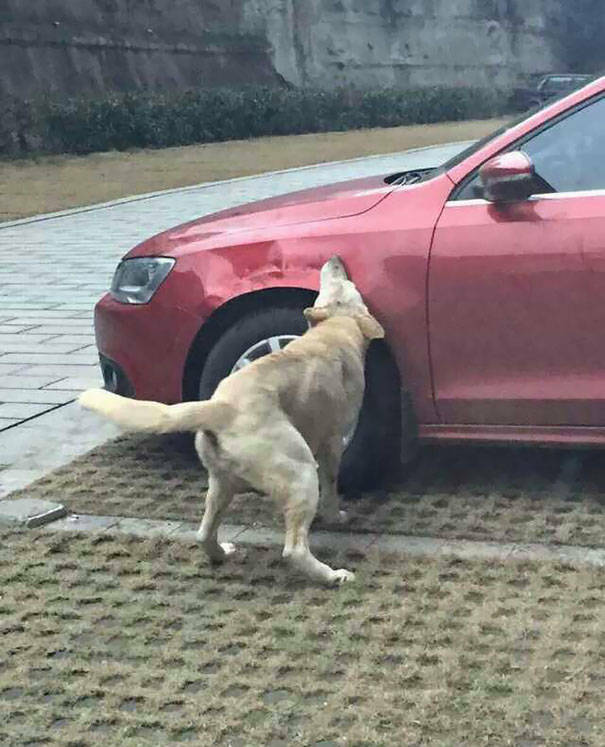 An angry stray that was kicked by this driver, decided to get revenge by damaging the motorist’s most prized possession. . . but how? 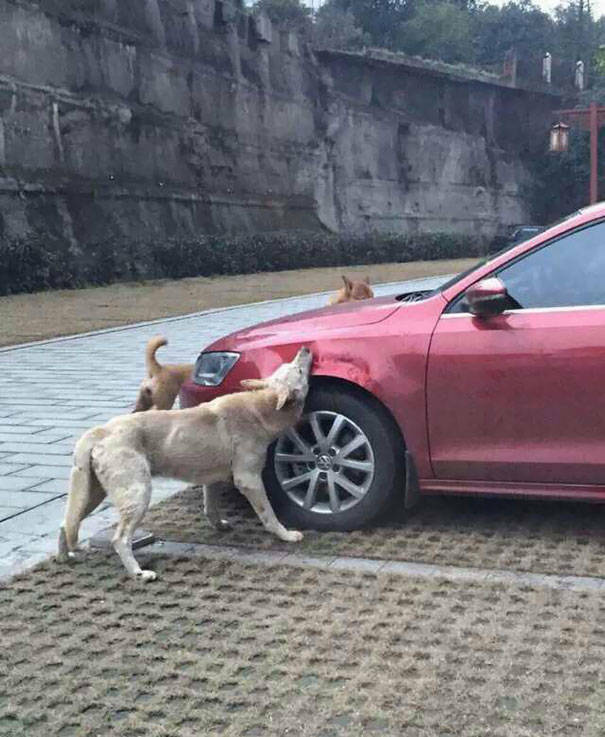 That’s going to leave a mark – but surprisingly, on the car, not the dog. 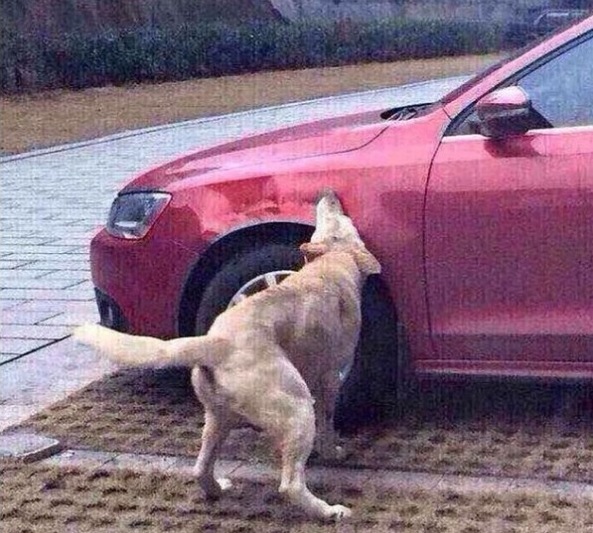 Have you ever seen a canine chomping through this much metal? 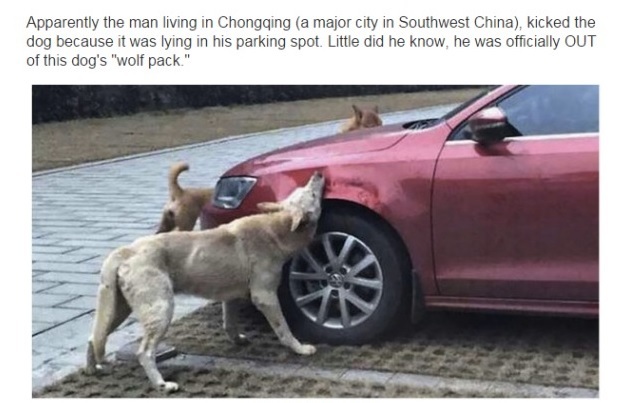 Does this stray dog have teeth made of steel?